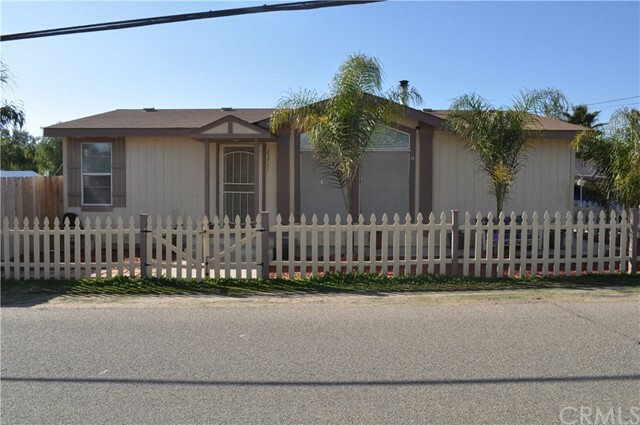 Welcome to this amazing manufactured home located in Canyon lake. This home has many great features such as a free standing wood burner in the living room, newly installed fence around the property with a gate for RV parking and a large storage shed in the backyard. The yard is very spacious perfect for family BBQs and or bonfires. This home has modern style counter tops and backsplash in the kitchen, also modern style counter tops in the bathrooms. the master bathroom features large cabinet space for storing linens etc.. as well as a walk-in closet. This home is conveniently located off the 215 freeway minutes away from restaurants and shopping centers. This home is definitely a MUST SEE! !